The new Lightning dock features a flat surface with a small protrusion that holds the Lightning connector, a design that should make it compatible with most cases. Previous iterations of Apple's iPhone docks have used recesses to add support, making it impossible to keep the iPhone in a case while using them. Apple's online store lists shipping times for the Lightning dock at one to three days. It does not appear to be available in brick-and-mortar Apple Stores just yet, but customers can have it shipped to their local store for pickup. 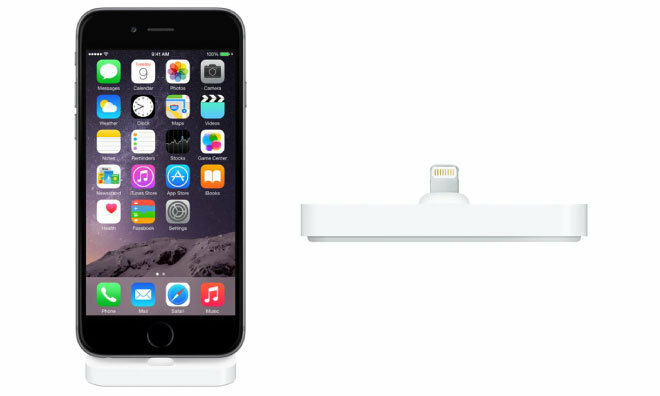 The iPhone Lightning Dock is available now for $39 directly from Apple.